There’s no doubt about it, breakfast is my favorite meal of the day. 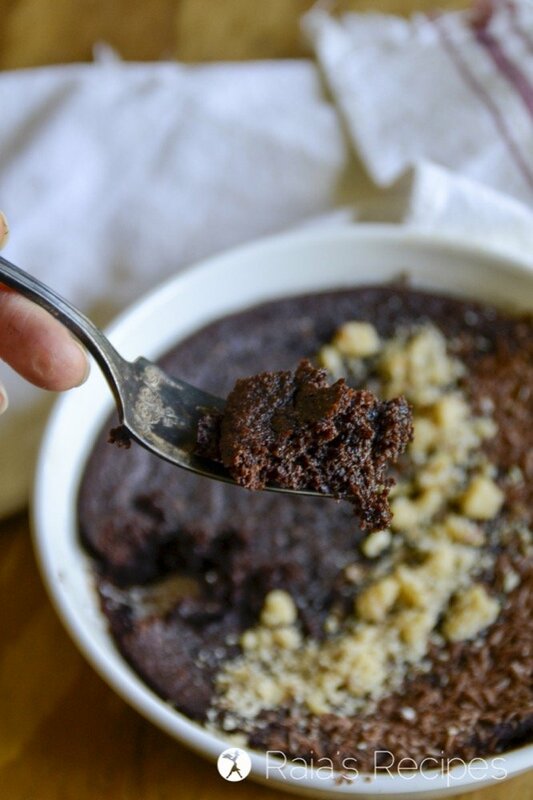 There’s just something so comforting about waking up to a nice warm muffin on a chilly day, a healthy smoothie during the summer heat, a homemade donut on the weekend, or a… personal pan brownie. Yes, brownies are a personal breakfast favorite of mine. I know, they’re not the normal breakfast food, but they are a pretty dang good one! And if you make them right, they can be a pretty healthy one, too. Almond flour is a very good source of vitamin E as well as iron, manganese, magnesium, potassium, calcium and more. And when baking, it has a wonderfully ‘normal’ texture and crumb. Besides being a wonderful source of omega-3 fatty acids, flax meal slows the breakdown of starchy carbohydrates and decreases blood sugar spikes. Applesauce is high in many beneficial phytochemicals, like catechin, chlorogenic acid, phloridzin and quercetin. All of which your body uses as antioxidants to prevent damage to your cells. Honey is full of friendly bacteria, vitamins and minerals (like niacin, thiamine, pantothenic acid, riboflavin, vitamin C & B6, calcium, and iron), making it anti-fungal and probiotic powerhouse. In order to get as many benefits from your honey as possible, try to get a local, raw honey. Added bonus: local honey and/or bee pollen does wonders to help seasonal allergies! And last, but definitely not least, coconut milk is rich in vitamins C, E, B1, B3, B5 and B6, as well as many minerals including iron, selenium, magnesium, sodium, calcium, and phosphorous. I’m sure by now you’re 100% convinced that this Personal Pan Dark Chocolate Paleo Breakfast Brownie is the best way to start off your day. So what are you waiting for? Make yourself one, and dig in! It’s for your health…. Preheat oven to 350 and grease a 6-inch ramekin or casserole dish. Whisk together dry ingredients. Dump wet ingredients on top and quickly mix together until no dry streaks remain. Pour batter into prepared dish and bake for 30 minutes, or until the center is firm to the touch. 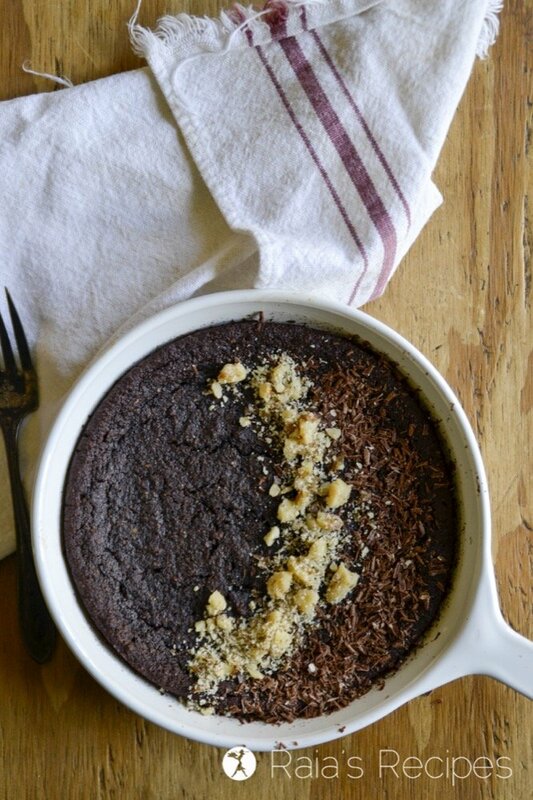 Cool, then top with shredded chocolate, walnuts, or topping of choice. Eat with a spoon. Notes: Idea from Strength & Sunshine Deep Chocolate Mug Brownie. O perfect, perfect! All just for me! 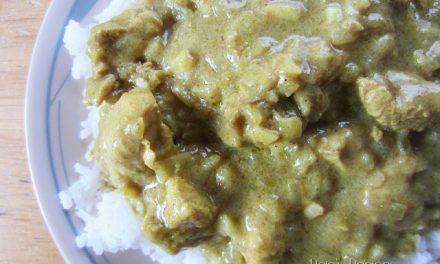 I LOVE the idea about pureeing an apple in the blender for a recipe like this. Applesauce for a recipe often trips me up b/c I don’t want to open a whole jar or whatever. So thank you. The brownie looks wonderful too; I want to try it soon. I’m allergic to almonds do you have any suggestion of substitution for the flour. This really look great. Thank you, Paula! If you can do regular gluten-free flour, then you could try a gf all-purpose in place of the almond flour. If you need grain-free, then I would try another nut flour, or cassava flour. I haven’t tried these subs, though, so I can’t verify that they will work 100%. A breakfast brownie? Yes, please. 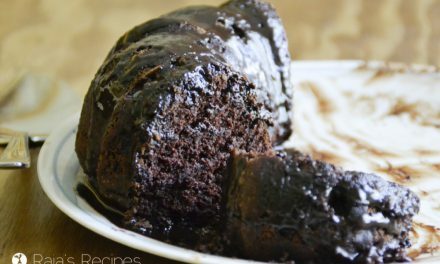 It looks so moist and tempting. Haha! Thanks, Mira! I’m a big fan of brownies for breakfast. 😉 I don’t feel so guilty eating them, then! Chocolate brownies for breakfast! It’s a dream come true for this chocolate loving girl! These look delicious. Can I make this into a pie by simply multiplying the recipe? Yum! This looks so good! I just pinned it and will try it out some time this week! Thanks, Melissa! I hope you enjoy it! Such a perfect LITTLE recipe. Love it! Haha! Thanks. 😉 It’s mom-sized. 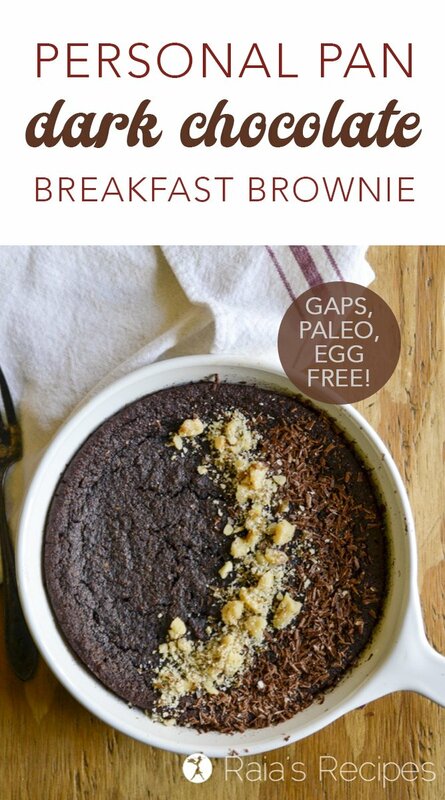 You had me at ‘breakfast brownie’ !! 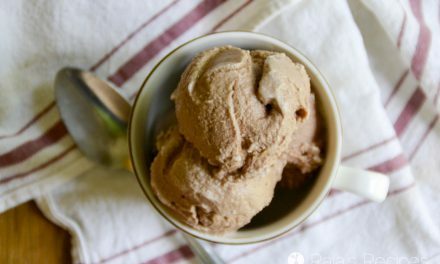 Looks SO decadent and yet it’s Free of grain, gluten, eggs, dairy, and refined sugar! Thanks. Definitely pinning.. Hoping to make soon! Thank you, Carol! I hope you get a chance to enjoy it! 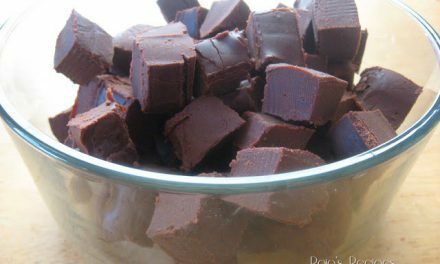 I love brownies but I don’t like being tempted with a whole pan so this recipe is perfect! Loving the indulgence of a brownie for breakfast, and making it in individual portions is great! 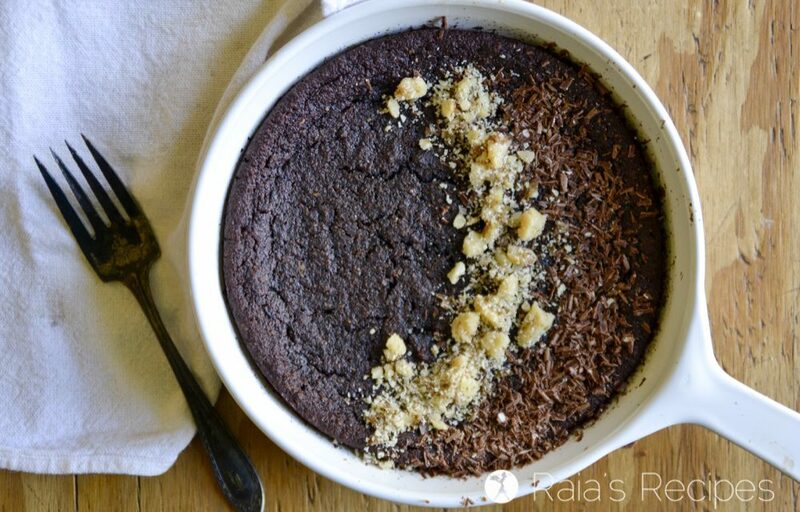 This is wonderful idea of making single serving breakfast dish who can resist the brownie love this dark chocolate breakfast brownie that too paleo version. Can you sub this with protein powder for the almond flour? This looks yummy!! SO fun! I am making this for momma soon! Thanks! i cant tolerate flax…can they be replaced by anything? this looks so amazing imwould love to try it.